The word “novel” was used only by the end of the 18th Century. This word is an English transliteration of the Italian word “novella”. “Novella” is used to describe a short, compact, broadly realistic tale popular during the medieval period. In the year 1007 a Japanese noble woman, Murasaki Shikibu, wrote the world’s first full novel. Called “The tale of Genji,” it tells the story of a prince looking for love and wisdom. A traditional novel is said to have a unified and plausible plot structure, sharply individualised and believable characters, and a pervasive illusion of reality. Initially, one major characteristic of the novel was realism – a full and authentic report of human life. As readers were accepting this illusion of reality and were passive receptors to everything the novel was saying, the anti-novel style emerged! An anti-novel is any experimental work of fiction that avoids the familiar conventions of the novel. The name was coined by French critic Jean-Paul Sartre. The anti-novel was invented by the French. Anti-novel writers insist that traditional novels sketch a false appearance of the world in much the same way as television soap operas do – or as Murasaki Shikibu did. Instead of creating fantasy plots and characters, antinovelists emphasise the minute details of life and the world. The anti-novel usually fragments and distorts the experience of its characters, forcing the reader to construct the reality of the story from a disordered narrative. 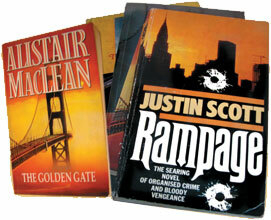 Newer styles of novels have been constantly emerging. Novel in verse form or Verse novels are a contemporary genre combining the power of narrative with the rich, evocative language of verse or poetry. Although the narrative structure of a verse novel is similar to that of a novella, the organisation of the story is usually in a series of short sections, often with changing perspectives. Verse novels are often told with multiple narrators, providing readers with a cinematic view into the inner workings of the characters’ minds. Some verse novels employ an informal, colloquial register. Yevgeny Onegin by Alexander Pushkin is a classical example of this style. August 2007, Did You Know?